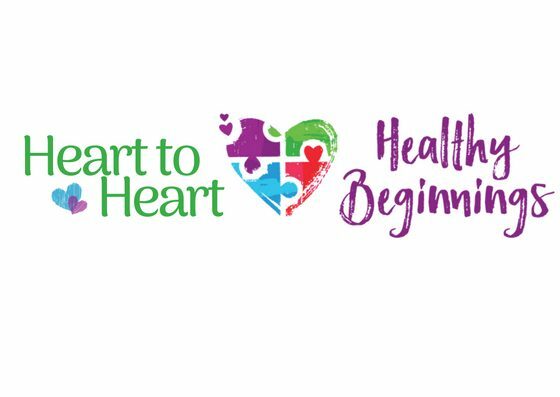 Heart to Heart is a free telephone, text, and email service for parents and others experiencing family life or parenting challenges. This nonjudgmental service provides a listening ear, support and guidance to parents and caregivers who are upset or troubled about a family issue, or just need someone to talk to. Heart to Heart is staffed by parent volunteers. As parents, they truly understand that parenting is hard work! They are available to help ease some of that workload, by offering support. How can Heart to Heart help me? Heart to Heart is staffed by caring, knowledgeable and experienced parents. They’ve been in your situation and can understand where you are coming from. They will try to help you by providing information, guidance and suggestions for ways of dealing with your family life or parenting challenge. If you live in Central Oregon, and if appropriate for you, staff will provide information on other supports and resources available in your community, facilitating referrals as needed. You can contact Heart to Heart as often as you need to, and can take as little or as much time as necessary to discuss your concerns. Some parents may only contact us once and are able to get the support they require. Others may wish to arrange a follow-up call, or will contact us when new issues arise. Many parents first contact us when their children are infants, and continue to do so as their children grow and through the early years. We welcome both new and repeat callers. Yes. All information you share with Heart to Heart will be confidential, although parent educators may discuss their work with a supervisor to ensure they assist you the best way they can. Supervisors also are bound by confidentiality. No one else will be told that you have been in contact with us, and no third parties will be contacted about your issues or situation without your consent. Callers can remain anonymous. Exception: Allegations or suspicion of child abuse cannot, by law, be kept confidential, and must be reported to the appropriate authorities. What do I do if the Heart to Heart is closed? Heart to Heart is not staffed 24 hours, 7 days a week. There will be occasions when you cannot get an immediate call, email, or text response. Please leave a detailed message with your name and phone number and we will get back to you during regular hours. Remember: The Parent Helpline is not a crisis line. If your question or situation is urgent and requires immediate assistance or support, dial 911. What if I leave a message and I do not get a return call? If you do not hear back from us within 24 hours, please call us back. We may not have your correct phone number. Why is this different and better than a national model? How is this different specifically from the National Parent Helpline? The National Parent Helpline is a great, albeit generic hotline available for such questions as “Which formula can I feed my infant?” and “How do I talk to my teenager about drugs?”. While these are important questions, the goal of Heart to Heart is to connect families with other families within their own community. Heart to Heart is also geared specifically toward parents of children ages birth to 8. Finally, it is a multi-application hotline, something that no current similar hotline offers within our state. What happens if a parent calls in to report child abuse? All calls are anonymous, however, reports of child abuse are taken seriously and would be reported to the proper authorities per mandatory reporting requirements. Heart to Heart is not a crisis line. If your question or situation is urgent and requires immediate assistance or support, call Deschutes County Mental Health Hotline at 1-800-875-7364 or dial 911.